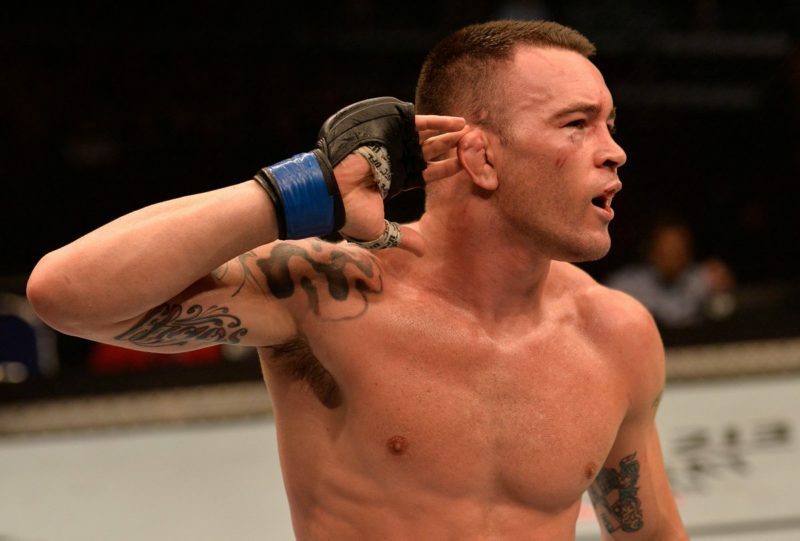 The UFC 234 headliner is the first middleweight title-fight under reasonably normal circumstances since UFC 194 in late 2015. 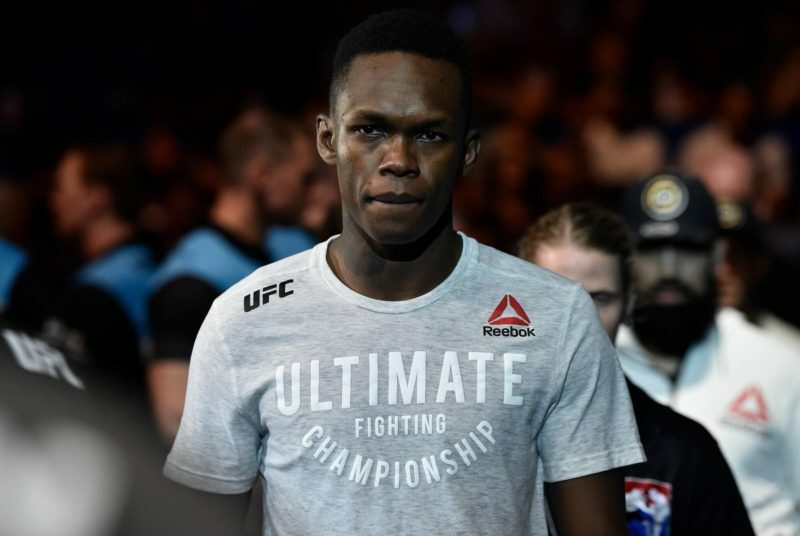 At that point, the top tier of the division was well-defined as Chris Weidman, Luke Rockhold, Yoel Romero, and Ronaldo Souza; since then, all of them have taken multiple losses each. A short-notice title-fight for Michael Bisping set off a colossal upset, a series of questionable title defenses, an interim belt that soon turned into an undisputed belt, another interim belt that just never ended up materializing, and a title challenger missing weight and subsequently giving the champion the fight of his life. 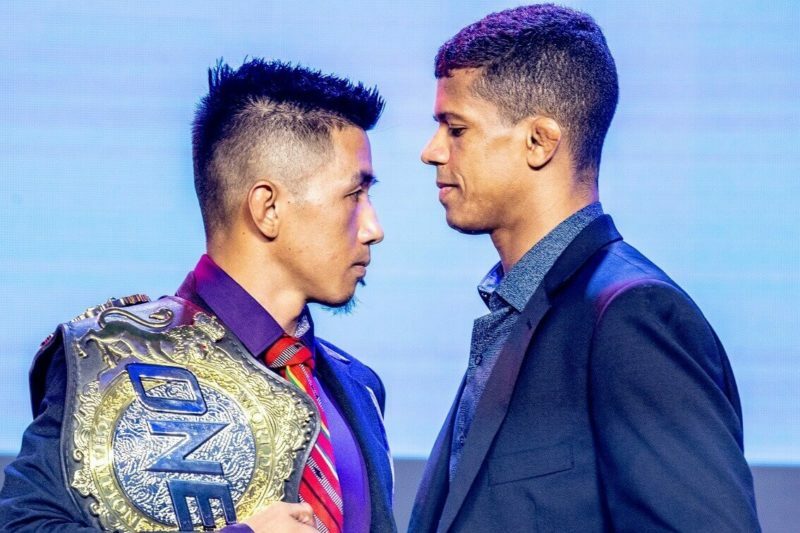 Despite the chaos, the former elite middleweights established a clear pecking order among themselves, but a different fighter tore through the division to upstage all four of them. Robert Whittaker has established himself as a pound-for-pound top talent with his recent run over the very best that the 185-pound category has to offer, and yet he doesn’t get the respect that he deserves; in his homecoming, the Oceanian has an opportunity to show why he’s one of the best in the world. His opponent is Kelvin Gastelum, a uniquely prolific legend-killer. Formerly at welterweight before weight issues forced him up to 185-pounds, Gastelum put together a 3-1 (1) run at middleweight that propelled him to a title fight at a weight class that many still maintain is too big for him. At the same time, his middleweight run hasn’t been as convincing as the names on his record would suggest; significant caveats somewhat undermined both of Gastelum’s elite wins at middleweight, and his loss to Chris Weidman showed his limitations even though it didn’t really seem to stunt his momentum. The fight against Whittaker, a justifiably highly-regarded champion, gives Gastelum the opportunity to put together a performance without a caveat; if Gastelum can consistently outmaneuver Whittaker, one would be hard-pressed to deny his status as the best middleweight on the planet. Robert Whittaker’s last three fights have cast a light on the depth of Whittaker’s striking arsenal, both offensively and defensively; in contrast, Gastelum’s performances have looked minimalist to a fault. The fights each had with Ronaldo “Jacare” Souza illustrate this fairly well; while both came away with wins, the performances of Whittaker and Gastelum basically had nothing in common beyond that result. Whittaker’s performance was one of the most thoughtful showings that anyone could’ve put together against Souza, and remains one of the most virtuosic beatings that any elite fighter has been subjected to. 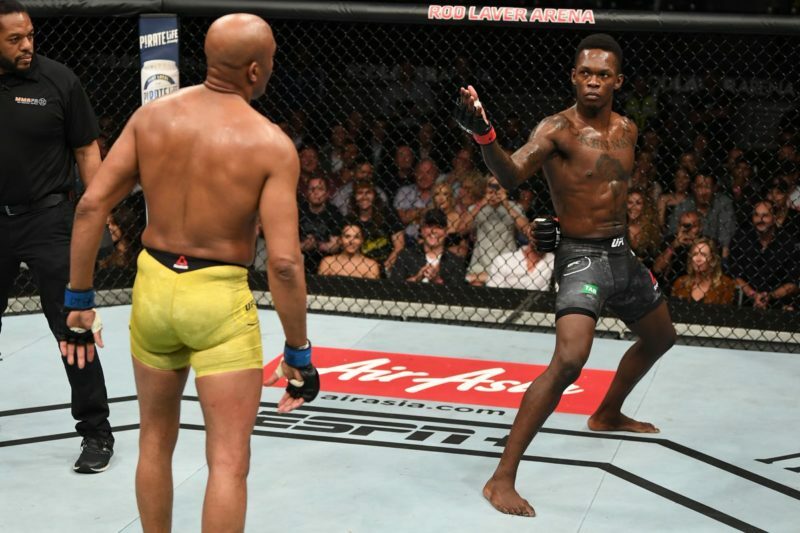 Whittaker showed an exceptionally educated jab in that fight, feinting it to keep Souza at bay and on edge before flicking it out, and mixed in a stepping left hook to circumvent Souza’s guard (and started building combinations off the jab when he was confident in Souza’s inability to read his rhythm). Whittaker used the right hand lead well among all the jabs to start exchanges and cracked Souza on the exit with left hooks numerous times, and started herding Souza into head kicks once Souza was hurt and on the fence. Arguably most impressive from Whittaker in this fight was his defense; Souza was largely unable to time Whittaker’s entries through layers of feints and set-ups, but even when Souza happened to swing a right hand at the right time, it either missed (as Whittaker angled off) or hit one of the better shoulder rolls in the sport. Gastelum’s striking against Souza led to a far uglier and more drawn-out affair. Gastelum was a lot more committed than Whittaker was to driving a pace on the veteran after dropping the first round, and his lack of tools from the outside meant that he put himself in the line of fire far more than the versatile Whittaker did. Gastelum found real offensive success with the 1-2, but it was predictable enough that Souza was able to sling a counter right hand and land more often than not on Gastelum’s exit; even on the lead, Gastelum’s lack of systematic defense meant that Souza could land strikes (especially body kicks) seemingly at will, and the only thing stopping him seemed to be the energy dump from trying to submit Gastelum in the first. A lot of the fight was Gastelum pouring on volume only to eat a big right hand (or even a relatively unrefined left hand) from Souza to force him to back off, and Gastelum came away with a split decision that largely seemed to come down to the optics of a gassed Souza (and considering that he was facing a Brazilian in Brazil, he was relatively lucky to come away with such an ugly win). While Souza is very different from the challenges that both Whittaker and Gastelum will face at UFC 234, the mutual opponent showed how both faced a relatively static challenge; on the feet, Souza isn’t much but a thunderously powerful right-hand counter and a few body kicks, and Whittaker made it look that way, where Gastelum’s total lack of regard for defense allowed Souza to gain far more leverage out of his skillset than he should have. While the pocket was supposed to be where Gastelum thrived (and Gastelum has a few tricks like the 2-pull-1-2 he used to spark Michael Bisping), Gastelum doesn’t seem to be prepared to defend anything that he isn’t immediately waiting for. Whittaker is more aware of returns in the pocket, and he’s able to control distance and traverse the cage to an extent that he doesn’t have to fight at close range if it’s the only place where his opponent has a chance; against Yoel Romero at UFC 213, where Romero’s wrestling failed so he was forced to leap forward with flurries to try to get anything done, Whittaker used the front kick masterfully to keep him away and gas him out. While the shoulder roll isn’t there against a southpaw, Whittaker’s control of distance and head movement (often built into his strikes) proved more than enough to stymie Yoel Romero for five rounds; Whittaker’s defensive toolbox is broad enough to where he’s more likely to come out of more exchanges unscathed than Gastelum will. As an offensive striker, Whittaker’s game is broader and deeper; Whittaker is a stronger feinter than Gastelum to set up other attacks (for example, using the jab feint to force a reaction from Souza and following up with either a real jab or a left hook around the guard), he’s an excellent kicker, and he’s one of the most adaptable strikers that the UFC has ever seen. 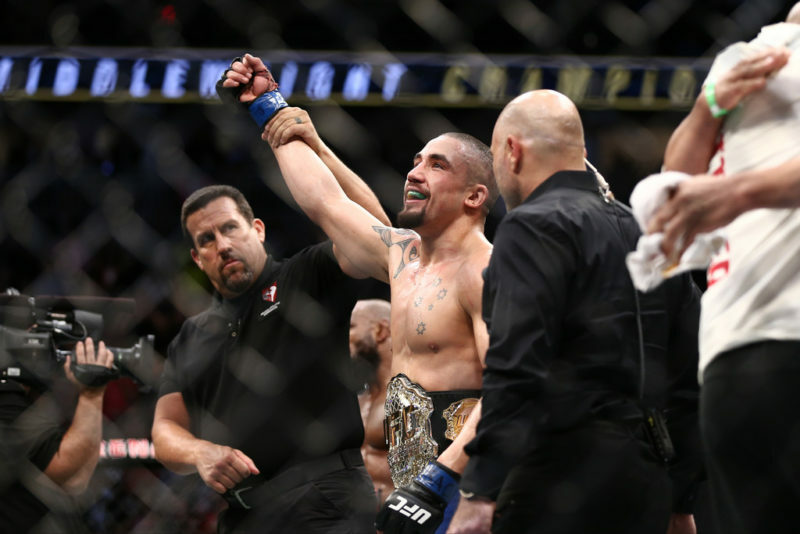 When Romero trashed his lead leg, Whittaker scrapped the jab for the front kick; when his rear hand was broken in the Romero rematch, Whittaker still found success against an aggressive opponent with elbows from the collar tie and a great lead hand. 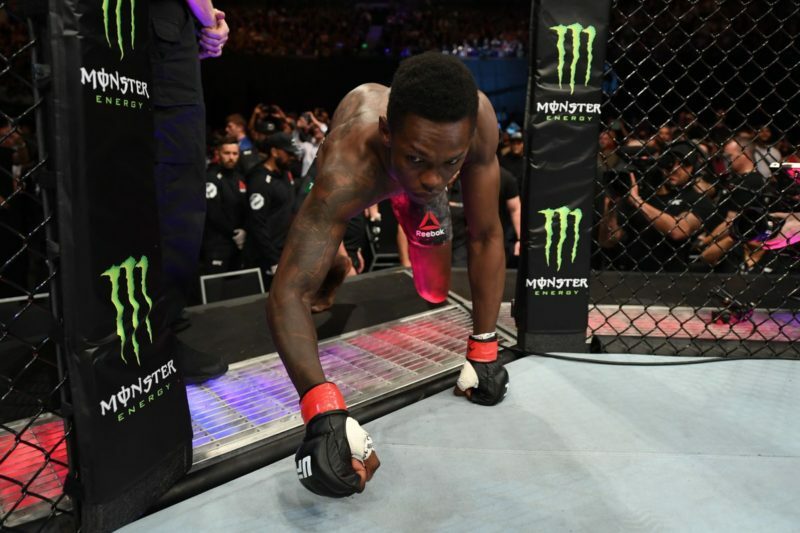 Romero is himself a pound-for-pound talent, and one of the smartest to ever step in the cage, and Whittaker won what could be considered a tactical arms-race against him (despite Romero turning into a totally different fighter after his first loss to Whittaker). 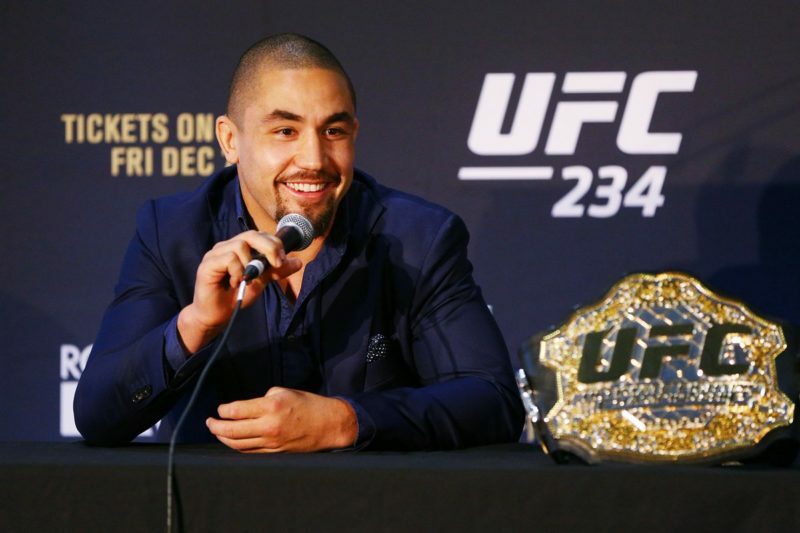 The biggest question mark in this fight is the health of Whittaker; in his last two fights against Romero, Whittaker sustained severe injuries, and the damage he sustained in the Romero rematch may have turned it into a Pyrrhic victory in terms of his long-term health. It’s a factor to account for in capping the fight, but it isn’t as reliable of a predictor in this matchup as the styles of each competitor. X-factor aside, the likely winner seems relatively clear; Whittaker has the distance control measures to keep Gastelum away, he has the outfighting prowess to keep from getting forced into the pocket if Kelvin pressures, he has the tools to pick Kelvin apart from the outside, and he’s strong enough in the pocket offensively and defensively to beat Kelvin there if he wants to. 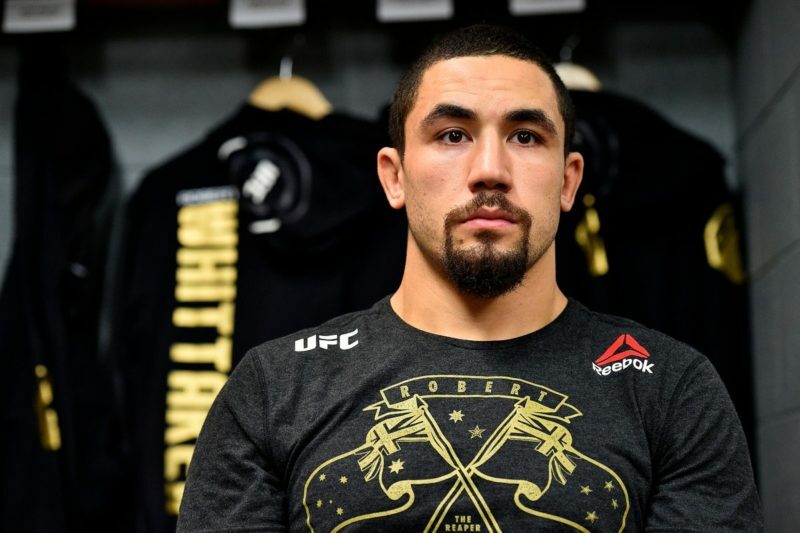 Most importantly, Whittaker’s fight IQ means that he’ll only get stronger as the fight goes on, and Whittaker’s attritional work to the body means that Gastelum will likely grow weaker. Even if Gastelum’s limited approach poses some early issues to Whittaker, Whittaker can be trusted to adjust to negate those tools, and Gastelum isn’t nearly as adaptable (as shown by his inability to avoid the right hands of Souza through 15 minutes and not changing his tactics once). Gastelum can be expected to be dangerous early in this fight, but Whittaker can be expected to pull away for a relatively decisive win. Prediction: Whittaker via fourth-round TKO. This writer caps Whittaker at -250.